You are currently browsing the tag archive for the ‘Teresa Wakim’ tag. In her program notes for this week’s concerts Apollo’s Fire artistic director Jeannette Sorrell writes, “Martin Luther had many students and disciples. 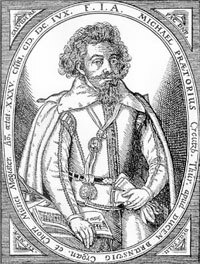 One of them was named Praetorius, and that student had a son named Michael. Michael became – along with J.S. Bach – one of the two greatest composers in the history of Protestant church music.” Beginning on Friday, December 13 with performances continuing through the 16th at locations in Cleveland and Akron, Apollo’s Fire presents Praetorius Christmas Vespers: A Dramatic Holiday Celebration. 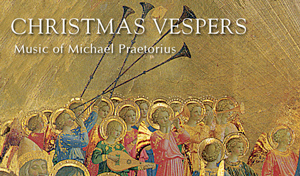 Compiled by Jeannette Sorrell and premiered in December 2005, the Christmas Vespers features the splendor of trumpets, sackbuts, virtuoso cornettos, antiphonal choirs, lutes, strings and recorders. The concerts also feature the Apollo’s Singers and the Apollo’s Fire Musettes, youth who have been chosen by Sorrell to perform Praetorius’s music intended for children’s voices. Returning to Cleveland and the Apollo’s Fire stage are three renowned soloists, sopranos Nell Snaidas, Teresa Wakim, and Amanda Powell.